The Association of Australian Convention Bureaux (AACB) has signed an annual partnership with event technology company Cvent. Cvent will be the exclusive event technology partner for AACB’s 30th annual conference, Destination Business Events, which will allow members and conference participants to learn the technology up close and personal. The partnership is a first-of-its-kind collaboration for AACB. “It’s great to have an industry partner that has a similar interest in the success of business events,” said AACB CEO Andrew Hiebl. 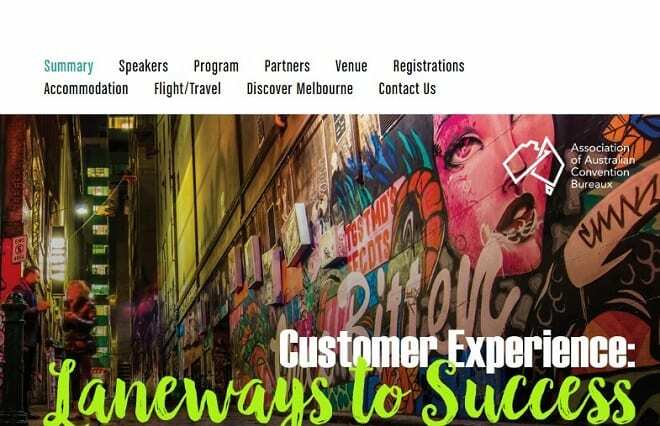 Customised event website and online registration experience, onsite check-in and badging, data and reporting solutions, and a mobile event app designed to engage attendees, will be part of the collaboration delivered by Cvent. “This is an incredible opportunity for Cvent to team up with AACB and support the growth of the business events industry in the region” said Chela Evans, director of sales at Cvent Australia. The annual conference will be held in Melbourne in September 2019.